Stylish criss cross strap sandal. Calfskin upper. Padded footbed for all day wear. Light weight PU midsole for durability. Platform wedge heel. Open back design for easy on/off. Great for any event. Sophisticated strappy sandal. Woven calfskin upper. Wide stacked heel provides added stability. Lightly padded footbed for extra comfort. Open back design for easy on/off. Leather outsole. Perfect for any event. Simple strappy sandal for any activity. Kitten heel. Calfskin upper with leather lining. Cross strap design. Padded footbed for all day wear. Leather outsole. 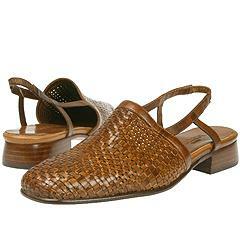 Adorable woven sling back. Leather upper. Elastic heel strap for added security. Leather lined. Padded footbed for extra comfort. Stacked heel. High fashion single band slide. Yumba print upper. Padded footbed provides great cushioning. Stacked heel. Gorgeous stone decor. Durable outsole provides great traction.